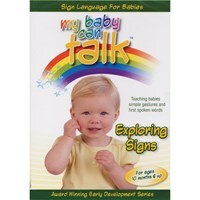 My Baby Can Talk - Sharing Signs builds upon the vocabulary introduced in First Signs and offers babies more advanced signs and words. 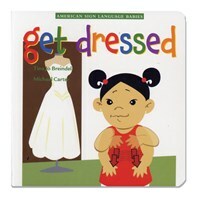 Designed to support and expand upon the educational process begun with First Signs, My Baby Can Talk - Sharing Signs teaches 28 signs and words set to classical music by Bach, Beethoven, Handel, Haydn, Mozart, Schubert, Strauss, Tchaikovsky and Vivaldi. DVD running time: 40 minutes.